The family of Belfast woman Jean McConville – who was abducted, murdered and ‘disappeared’ by the Provisional IRA – plans to take civil action against the Chief Constable of the PSNI and the Ministry of Defence over alleged failings in the investigation into her death. The body of Mrs McConville, a mother-of-10 who vanished in December 1972, was not recovered for more than 30 years. Her remains were finally found on Shelling Hill beach in Co Louth in 2003, but no one has ever been convicted over her death. On Tuesday, the anniversary of Mrs McConville’s body being found, lawyers for the family confirmed that they had been instructed to pursue civil action. “The McConville family firmly believe that the RUC and subsequently the PSNI have utterly failed to assist the family’s quest for the truth,” Ciarán Mulholland, from J Mulholland & Co Solicitors, said. According to the family’s legal team, Mrs McConville was abducted by the PIRA on 30 November 1972 from a bingo hall in the lower Falls area of west Belfast. They say she was interrogated on suspicion of being an informant before being found the next day, “roaming the streets in a state”, by a British Army patrol who took her to Queen Street RUC barracks. The lawyers further detail how Mrs McConville was then abducted from her home by the PIRA. They claim numerous reports were made to the RUC, but “police still failed to act”. Mrs McConville is believed to have been tortured and murdered by her captors sometime in December 1972. Mr Mulholland added: “The family now feel that, given the lengthy passage of time and the obstruction they continue to meet seeking the truth into the disappearance and murder of their mother, they have no alternative other than to hold the police and Ministry of Defence to account. An MOD spokesman said: “The MOD has and will continue to cooperate fully with all judicial processes. The family of a woman murdered and secretly buried by the IRA more than 40 years ago are to sue the police and Ministry of Defence. Jean McConville’s family say there was a failure to hold a prompt and efficient investigation into her abduction. The civil action was announced on the 10th anniversary of her remains finally being found at a County Louth beach. It is believed that she was tortured before being shot and buried. The mother-of-10, one of those referred to as the Disappeared, was taken from her west Belfast home in December 1972 on suspicion of being a British informant. Legal proceedings have been initiated against both the Chief Constable of the PSNI and the MoD over events surrounding her abduction, death and subsequent inquiries. Solicitor Ciaran Mulholland said he has been instructed by members of the McConville family to pursue a claim over the “horrific events”. He claimed Mrs McConville was found by a British Army patrol in the early hours of 1 December, 1972 “roaming the streets in a state” after first being interrogated by the IRA. She was taken to a police station at Queen Street in the city but seized again later that day, according to Mr Mulholland. He alleged that police were told of her abduction within hours, but refused to assist. Further failures to act occurred over the next two months, it was claimed. “The family still do not know the circumstances of this horrendous event,” Mr Mulholland said. “Why was their mother taken? Why would the RUC not intervene or investigate the matter? “The McConville family firmly believe that the RUC and subsequently the PSNI have utterly failed to assist the family’s quest for the truth. “The family now feel that given the lengthy passage of time and the obstruction they continue to meet seeking the truth into the disappearance and murder of their mother that they have no alternative other than to hold the police and Ministry of Defence to account. Boston College’s chapter of the American Association of University Professors has sent a third letter to the Rev. William Leahy, the president, asking that the administration appoint an independent committee to examine the circumstances surrounding the creation and conduct of the oral history collection known as the Belfast Project. 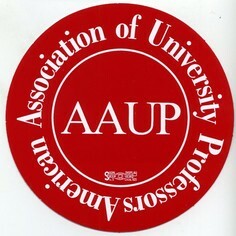 And for the third time, the AAUP board members have yet to receive a response from Father Leahy, the college’s provost or its board, said Susan Michalczyk, the college’s AAUP chapter president. The controversial legal fight over access to oral history records at Boston College has been ongoing since 2011, when the U.S. Justice Department issued a subpoena for all materials from the Belfast Project to be turned over to British authorities investigating a 1972 killing of a Belfast mother of 10. The project included interviews with former members of the Irish Republican Army and other militia groups who fought during the Troubles and gave interviews with the understanding that the records would be kept in confidence until their death. This June, a federal appeals court ruled that the college would only have to turn over 11 of the 85 interviews. But a second letter to the administration from Michalczyk and the board brought more of the institution’s actions into question, including where the funding for the project came from. According to the letter, in the introduction to his 2010 book, Voices from the Grave, Belfast Project director Ed Moloney wrote that the bulk of the project was financed by Boston College. In a 2012 faculty forum, Father Leahy contradicted this statement and said all of the funding came from outside sources, Michalczyk said. Faculty members took the “call to shun the university” from Moloney “very personally,” Michalczyk said, which is why she and other AAUP board members are once again calling for action from the Boston College administration. Appellants Trustees of Boston College and two of its representatives, Robert K. O’Neill, the Librarian of the John J. Burns Library at Boston College, and Boston College University Professor Thomas E. Hachey (collectively, “Boston College”), oppose the government’s Petition for Panel Rehearing, which the government styles as a request that this court modify its May 31, 2013 opinion in this appeal. By order dated August 8, 2013, this court directed Boston College to file this response…. Sometimes the hypocrisy of government can be so brazen it literally takes the breath away. I am still struggling to retain my composure after reading a news story in The Irish Times today sent by a friend in Ireland. The story dealt with a successful legal move by the NI Secretary, Theresa Villiers and the PSNI Chief Constable Matt Baggot to prevent the relatives of three victims of the security forces from being able to read inquest documents because of British concerns “about the possible disclosure of any sensitive information on members of the security forces”. Relatives of the three are attempting to re-open their cases and the information is potentially important to them in this effort. A fuller account than The Irish Times’ is carried in the often excellent Detail website, which I recommend you read. The three victims were IRA man Paddy McAdorey who was shot dead by a British Army sniper on the morning of internment, August 9th, 1971; Michael Donnelly who was killed by a plastic bullet in 1980 and Sadie Larmour, a Catholic woman who was shot dead in October 1979. Mrs Larmour’s death is especially intriguing. She was killed at her home in Rodney Drive, in the heart of the Falls Road by a UVF gunman who broke into her home. Why is her killing considered by Villiers and Baggot likely to lead to “sensitive information on members of the security forces?” Don’t we have a right to know? The hypocrisy is breathtaking because at the same time these two individuals, Baggot directly and Villiers by virtue of her post in the British government, are demanding that all information in the archives of Boston College relating to a killing carried out by the IRA must be handed over, no exceptions allowed. So here we have a classic example of double standards. Boston College must hand over everything but the British can seek to hide what they will, and probably will get away with it. Unless that it is public opinion can be mobilised to force them to play by the same rules they apply to everyone else. Over to you, Irish media. There’s a story here. You do remember what a story is don’t you? Around the beginning of July this year, myself and Anthony McIntyre began getting increasingly edgy messages from Boston College (BC) alleging that a crisis in the over two-year long subpoena saga was developing which needed urgent and radical action. Only ourselves, we were told, could provide the way out. What followed was another depressing chapter in the story of Boston College’s seemingly boundless yearning to give up its precious research participants to the US government, the IRA activists who agreed to give the college valuable interviews between 2001 and 2006 about their lives during the Troubles. The message was clear that that unless we identified three interviewees whose contracts with BC had been lost by the college then the Department of Justice, on behalf of the PSNI, would get a bonanza. BC issued warnings that a court decision this May which severely restricted the number of interviews that were eligible for handover could be reversed by the US government. That outcome, the message suggested, could be a disaster for the Belfast Project. Unless we named the three anonymous interviewees. What had happened was this. At the very start of the legal challenge to the PSNI/DoJ subpoenas in 2011, a lower court ruled that every single interview given by anyone who mentioned Jean McConville had to be given to the PSNI. Most of the interviewees had provided a number of interviews, such that there were several transcripts related to each interviewee. The lower court’s ruling created the following ludicrous situation: let’s say interviewee A gave fifteen interviews and had talked about McConville in only one. Even if that mention was just for the equivalent of say a couple of paragraphs, all fifteen interviews would nonetheless end up with the PSNI. Although fourteen of A’s interviews had nothing to do with the disappearance of Jean McConville, they would all be handed over. Without going into all the detail suffice it to say that in May a higher court known as the First Circuit reversed that decision and very sensibly said that only those interviews which actually mentioned Jean McConville were eligible for handover. So for that hypothetical interviewee A, only one of his or her fifteen interviews could be sent to Belfast. This was an important change especially for the interviewees because otherwise they possibly could face charges for a multitude of offences that had nothing to do with the McConville case. Doubtless the most disappointed party after the decision was made public was the PSNI. But this is when BC began to undermine its own project, in the course of which it exploited the potential vulnerability of the interviewees to criminal charges beyond the McConville case in efforts which would have discredited myself and Anthony McIntyre. The interviewees could only be identified by an alphanumerical code attached to all the transcripts and tapes sent to Boston by the two researchers, Anthony McIntyre and Wilson McArthur. But each interviewee also signed a contract which consigned their interviews to BC on condition that they would only be published after their death. The process included a guarantee of confidentiality and the contract was proof of BC’s ownership. The agreement between myself and BC was to use a coding system to maintain the anonymity of the interviewees, and that only myself and the Burns Librarian would have access to this code. The only way by which this code could be created was by reference to the donation agreements, which the Burns Librarian – not Ed Moloney – was obliged to collect in Belfast and transport to Boston. Needless to say, the donation contracts were the most sensitive documents handled by anyone involved in the project. Without them, the interviewees could be not identified, and so they were handled with great care. Written into the arrangements that governed the project was the instruction that these contracts could only be carried to Boston by hand. They could not be sent by mail or via the internet because the risk of interception was too great. As it happened the man in charge of the project, BC librarian Bob O’Neill was a regular visitor to Ireland and he would arrange to meet the two researchers from time to time to pick up the contracts which he would then take to Boston. Alas, it seems that O’Neill lost, mislaid or otherwise never collected a number of these contracts. Even though the project ended in 2006 BC claims to have failed to notice this crucial gap in his paperwork until two years or so ago. The extent of the problem was not admitted by BC until the recent court decision when the college had to come clean. That is when we started getting those anxious messages. Seven interviewees aside from Brendan Hughes and Dolours Price had mentioned Jean McConville in their sessions but the contracts for three of them, identified only as “S”, “Y” and “Z”, had been lost, we believe by O’Neill since both McIntyre and McArthur had compelling reasons to ensure the contracts ended up in his hands. The message to us from BC was that the the DoJ had made an official request for the names of the three interviewees, absent which it could not identify them. If we failed to cooperate, we were told, the DOJ would request that the First Circuit Court of Appeal in Boston reconsider its decision and issue the whole transcripts, if not the entire archive, so that the DOJ could identify those interviewees whom the First Circuit found had knowledge of the McConville case. Bear in mind that the DOJ had never asked for the code in its subpoenas, but BC’s alarmism suggested the DOJ would be granted what they never subpoenaed. If the DOJ got their way, then all of the hypothetical participant A’s fifteen interviews would go to the PSNI and the US government would justify this on the grounds that full access was the only way to identify “S”, “Y” and “Z”. And so we waited with baited breath for the DoJ’s submission to the First Circuit in expectation that the government, in a fit of pique, would ask the First Circuit court to reverse its decision in the case of “S”, “Y” and “Z”. But we waited in vain. Last Friday the government’s filing was made public and there was not a mention of this threat at all. Not one. Not even a hint of a threat. Instead the DoJ simply asked the court to not to change the result regarding the release of transcripts, but rather to reaffirm in principle the executive branch’s supremacy in relation to the exercise of treaties governing subpoenas delivered on behalf of foreign governments. However, the DOJ wholly declined to challenge the First Circuit’s earlier decision which still stands. So, what is the explanation for Boston College’s groundless threats against myself and by implication Anthony McIntyre? The most charitable is that the college and its attorney completely misread the US government’s intentions. They cocked it up, in other words. The least charitable is that the college knew full well that the DoJ had no intention to challenge the First Circuit’s restriction on the interviews but that, with some well-directed bullying and strong-arming, the result might be that we could be maneuvered into betraying our sources to the PSNI, an act that would completely discredit us in Ireland and end our campaign. If this was the case it is testament to how underhand BC’s tactics had become, and how little understood our motives in waging this battle. I know which of these theories I believe and I believe it because there is another motive at work here, one that has been apparent almost from the outset of this legal case. That has been BC’s eagerness to put the US government’s law enforcement interests ahead of those of its research subjects; ensuring that it was seen to provide aid to law enforcement in its (bogus) murder investigation always seemed more important to BC than protecting the people who agreed to share important and sensitive historical information with the institution. And herein lies a very important message. Boston College should be shunned as an institution for academic research until it proves that it will fight with integrity and determination to protect the confidentiality and interests of its research subjects. Until then BC simply cannot be trusted. It is not a safe place to conduct research. 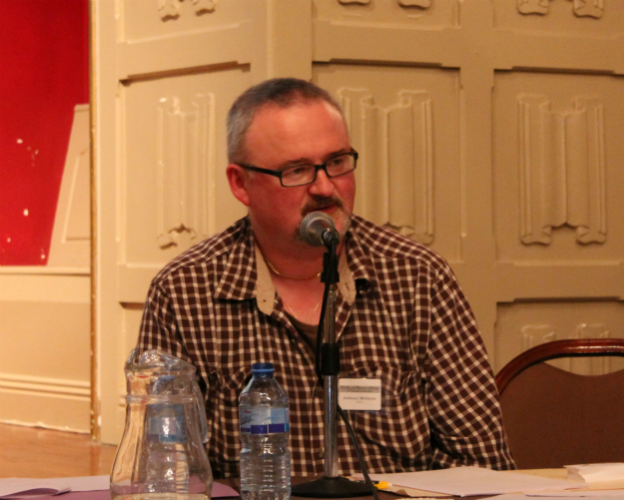 Dr Robert O’Neill, the Burns Librarian at Boston College, describes as “bizarre” a claim from me that he “lost” materials for the Belfast oral history project at the college. The materials were, in fact, contracts, or donor forms, signed by IRA participants in the project, without which the PSNI probe into the disappearance of Jean McConville is stalled. “Bizarre” is not the word I would use. “Inescapable” is a better adjective, for that is the only conclusion a rational person could arrive at from the evidence that Dr O’Neill himself presented to a Boston court in 2011. So, Dolours Price contract was signed by her and sent to Boston College, but then could not be found. In Boston, as well as in Belfast, that is what most people would regard as having been lost. And, having lost Dolours Price’s contract, is it not reasonable to suspect that others have also gone missing from Boston College’s archives in the same way? Dr O’Neill also referred in the same affidavit to the donation agreement having been signed “by most of the other interviewees”, indicating that, at that point, Boston College was well aware that not every interview had a corresponding donor form. So, it is beyond doubt that Dr O’Neill and Boston College knew in 2011 that there were multiple missing contracts. Yet they did nothing about it. Dr O’Neill now accuses me of “a clear contractual violation” by not providing the donor forms. But, if Boston College was in any way concerned about any contractual violation, it failed to either raise the issue with me, or to take any action before the time limits expired for enforcing any obligations in 2012. Not that there was any breach of contract on my part, but if the college really believed that there was, then its failure to enforce the agreement only further compounds its incompetence. It had the opportunity to complain of contractual breach as late as 2011 when the subpoenas were issued and it realised it did not have several donor agreements, but never once did so. The college is precluded from taking any action on that contract now and would have been unsuccessful in any action in any event. Boston College is unable to identify three of the seven interviewees, whose archive material has been cited by US courts as responsive to the second subpoena. The Belfast Project ended in 2006, some five years before both the first and second subpoenas. In that time-frame, in which Boston College co-operated in the publication of a book and a documentary film based upon material from the archives, no-one from Boston College had ever raised the problem of missing contracts. Since our contracts mandated that the donor forms had to be picked up in Ireland and then delivered “by hand” to Boston for security reasons, and since I now lived 3,000 miles away from Ireland, I could no longer play a part in the process. In fact, it even became too dangerous for me to know the identities of those taking part in the project and so I stayed out of this particular loop. To maximise security for the archive, Dr O’Neill agreed to collect the donor forms in Ireland from the researchers and ferry them back to Boston. As a buyer of artifacts for his library, Dr O’Neill was a frequent visitor to Ireland and this arrangement was most convenient. A key aspect of the arrangement was that no donor form ever came into my hands. Since I never handled the forms, I could not lose them. So, why are Dr O’Neill and Boston College desperately attempting to shift the blame for this debacle on to me? I suspect it is because the recent revelations that one of America’s premier colleges cannot identify its own research participants raises uncomfortable and embarrassing questions about the competence of the college staff and their handling of this most sensitive project. And, so, the impulse is to shift the blame elsewhere. Not for the first time since this saga began, Boston College is attempting to fault others for its own mistakes, instead of committing its full energies to protecting the integrity and confidentiality of the Belfast Project archive and, most of all, the safety and security of the oral history interviewees. THE family of murdered widow and mother-of-10 Jean McConville has received an offer of financial assistance to mount a civil legal action, which they hope could lead to Sinn Fein President Gerry Adams being forced to give evidence in court. The family has not decided on what form of action to take. But they could follow the civil case taken by relatives of the 1998 Omagh bomb victims against five suspects, four of whom were found by the High Court in Belfast to have been involved in the atrocity that killed 29 people, including Avril Monaghan, 30, who was pregnant with twins. Mrs McConville’s daughter Helen McKendry and her husband, Seamus, have confirmed they have an offer of assistance from a wealthy benefactor who wishes to keep his identity secret. “He is very generous and concerned to see the truth about what happened to Jean and the family brought out,” Mr McKendry told the Sunday Independent. The couple has already contacted the Omagh families who brought the civil action against dissident republican figures deemed in the action to have been responsible. “We are currently seeking legal representation,” Mr McKendry said. 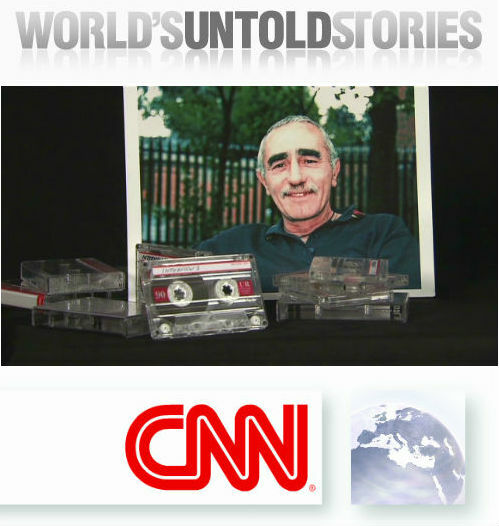 A similar case to the McConville murder would be likely to see the tapes of interviews with former Provisional IRA figures brought into play. Mr Adams, who denies any involvement in Mrs McConville’s murder, was also named by another former IRA man, Brendan Hughes, as being the commander of the Belfast unit that abducted the mother-of-10 from her home in the Divis Flats complex. Hughes, who died in February 2008, also claimed in a taped interview to researchers from Boston College that Mr Adams gave the order for her secret burial. The PSNI is currently seeking tapes from six other former IRA members referring to the murder of Mrs McConville as part of a historic case review. These are expected to be handed over in coming weeks. If the PSNI and Northern Ireland’s Prosecution Service decides there are insufficient grounds to mount a criminal case, the Boston College files could become part of a civil action where the grounds of “probability” rather than the “beyond a reasonable doubt” in criminal law apply. Gerry Adams has consistently denied that he was even a member of the IRA at any time and also that he had any part in Mrs McConville’s murder. A number of women were in the gang, including the then head of the women’s IRA on the Falls Road, Madge McConville, no relation of the victim. Madge McConville died in July 2009 and was described as a “republican icon” in an obituary in the Sinn Fein weekly paper, An Phoblacht. It was well known in the lower Falls area that she was involved in the abduction of Mrs McConville after she was seen to give assistance to a British soldier who was injured near her front door. At the time, the IRA had set up units in Belfast to attack anyone who was seen as sympathetic to the police or British Army. Dozens of women were abducted and beaten up and several young women had their heads shaved, were tied to lampposts and had black paint and feathers poured over them. The claims of Mr Adams’ involvement have been raised on a number occasions in the Dail. Last month, Fianna Fail leader Micheal Martin said there would be a “clarion call” for clarification if such an accusation was made against any other TD. Mr Adams replied that he had “consistently rejected claims that I had any knowledge of, or any part in, the abduction or killing of Jean McConville”. Weeks before her abduction, Mrs McConville, 38, was brutally beaten up by a gang of local IRA men and women because of her perceived sympathies to British soldiers. A decision was then made to murder her as an example to others to avoid contact with soldiers or police. Local sources said the decision to murder her was taken because she was a Protestant who had married a Catholic. She was driven to north Co Louth and taken to Templetown beach where she was brought to a shallow grave, shot and buried. Her children, including a baby, were left abandoned and went without food as local people were too afraid to help them. They were eventually taken into care by social services and placed in separate orphanages and foster homes. Mrs McConville’s body was discovered by accident on Templetown beach by a family in August 2003 when part of the sand dune she was buried in eroded. The inquest into her death found she had been killed by a single gunshot to the back of her head, probably fired downwards indicating she was made to kneel at her graveside before being murdered. The long and winding road that has been the Belfast Project interviews case involving Boston College, an abduction-and murder probe by the Police Service of Northern Ireland (PSNI), the US government, and the project director and his associates reached another crossroad at the end of last month as all parties awaited a decision by the US about a possible appeal of an adverse ruling to its case by the First Circuit Court of Appeals on May 31 of this year. In its ruling, the appeals panel said that US District Court Judge William Young had abused his discretion with respect to the disposition of interview material from the Boston College archive and ordered the university to release only 11 segments of the 85 interviews with 7 former IRA members that the District Court had deemed relevant to the murder investigation in Northern Ireland. 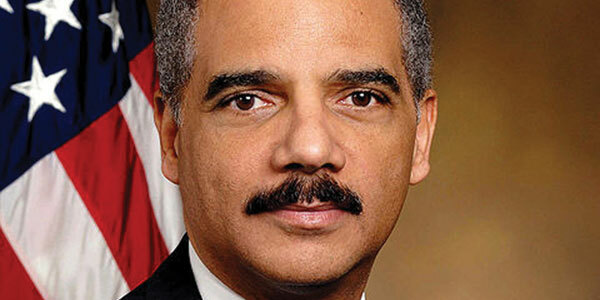 The 74 other interviews are no longer subject to release, the court said. The US government was given until Aug. 2 to decide whether or not to appeal the Circuit Court’s decision. Said BC spokesman Jack Dunn as he awaited the government’s next move: “Boston College’s intention was to be a repository of an oral history project that would serve as a future resource for historians and scholars seeking a better understanding of The Troubles, while also helping to promote peace and reconciliation in Northern Ireland. “At no time did Boston College desire to obfuscate a criminal investigation into a horrific abduction and murder. 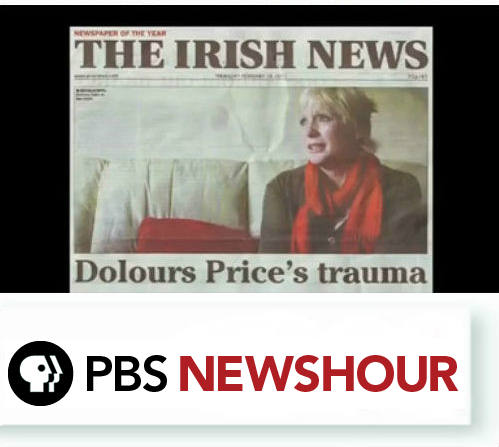 “That is why Boston College asked the US District Court to review the tapes to make a determination as to their relevance, while also considering the University’s request to balance the treaty obligation [between Northern Ireland and the US] against its interest in protecting academic research and the enterprise of oral history.